The file contains old addon settings. I created the CurrencyMonitor AddOn for WildStar, but i want to expand the functionality. That is why i rebuilt the AddOn from scratch and gave it a new name 'AltStar'. Functions are almost the same as in CurrencyMonitor. 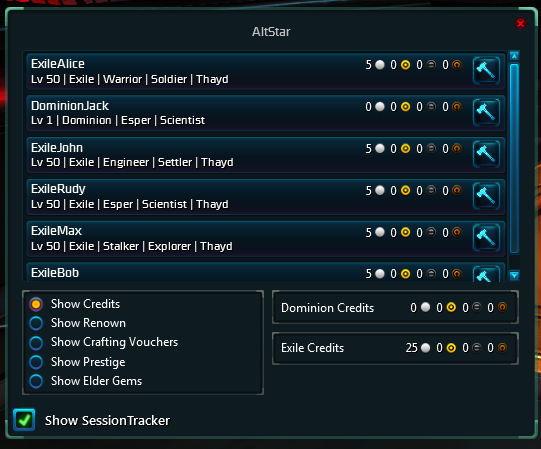 The addition is that 'AltStar' tracks the contents of your tradeskill bag, so you can check the materials your alts have.